Four generations of stallions from the Schockemöhle stud farm: Diarado – Come on – Aldatus – Domino. This is the formula for success for the German champion of five-year-old show-jumping horses 2017. Diaron has everything a modern show-jumper needs: He is fast, supple and talented and jumps with ideal manners, a very good technique and a lot of respect. With Patrick Stühlmeyer, he smoothly won the class of his generation in Warendorf. His pedigree is packed with performance: His sire Diarado, licensing and stallion performance test champion, won the bronze medal at the German championship of the five-year-old show-jumping horses and has since been successful up to 3-star S level show jumping classes. He is one of the most demanded show-jumping sires of current breeding times: 25 of his offspring, who are still young, are already successful at S level and 38 of his sons have been licensed. 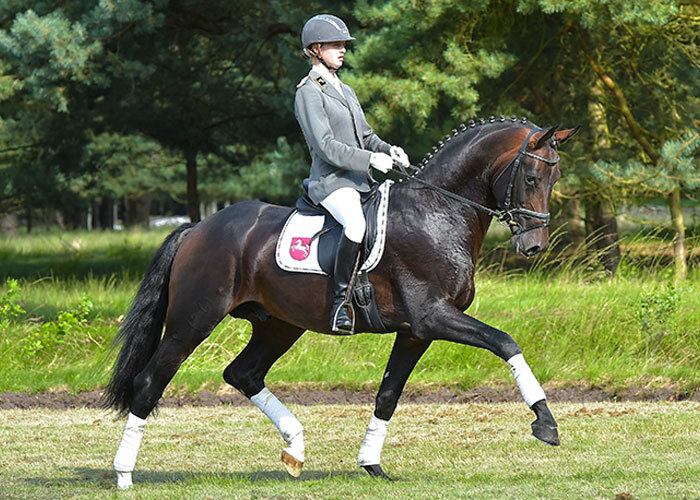 His dam Lenda-Cara has so far produced five successful competition horses, especially the large grey horse Campitello 2 (by Concetto Famos), who was successful with Alexander Hinz in international Grand-Prix classes (including in Donaueschingen, Frankfurt, Stuttgart, Opglabbeek/BEL). 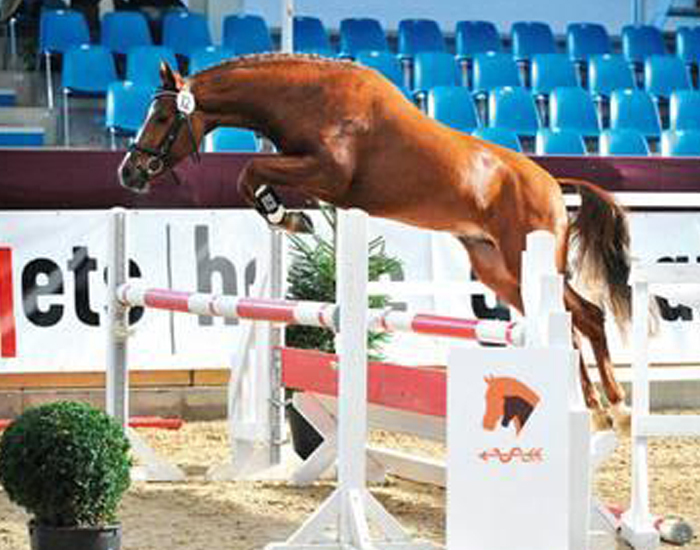 Grand-dam Lindauway has produced six successful show-jumping horses, the best being Miss Untouchable (by Chacco-Blue). 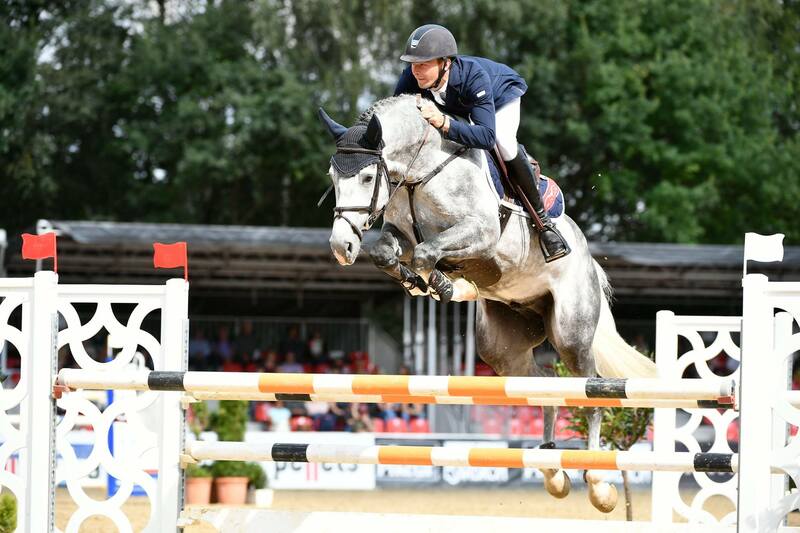 She shone in 2017 at the CHIO in Aachen with Leopold van Asten (NED) with several international rankings. 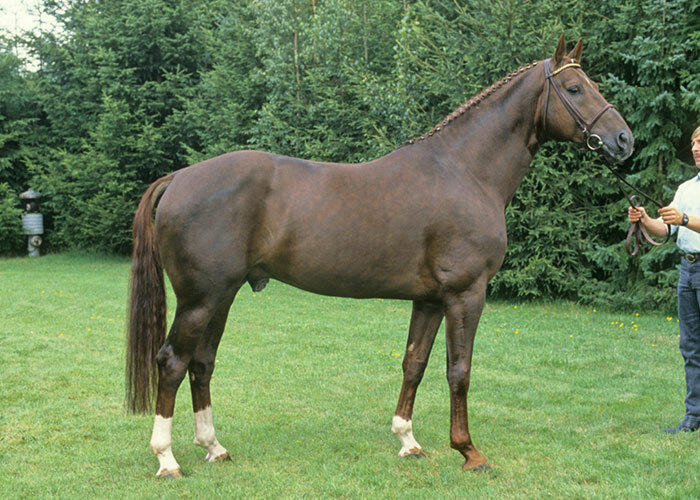 Aldatus in the third generation was internationally successful in show-jumping sport. Christian Ahlmann rode him to victory, during his time at the Schockemöhle yard, in the German and European Championships and with Jos Lansink, he was Champion of the Netherlands. Grand-dam Linda-Dolores (by Domino) is full sister to the internationally successful mare Day Date, who won the “Goldene Peitsche” with Beat Mändli (SUI) in Nörten-Hardenberg. Linda-Dolores produced with Balou’s Day Date/Candice King as well as Molly Ashe (USA), Carlogero/Wilma Marklund (SWE), Pentagon 78/Ludwig Sternberg, Roxette-Dolores/Jennifer Grey (CAN) and Tiger Lily/Jessica Springsteen (USA) five S level show-jumping horses who were successful at international level. The dam line can be traced back to 1840 through Agram’s son Efendi and frequently produced performance horses from crossings with stallions of the Schockemöhle station in all generations.